1. Select 'Box' from the Type drop down in the Run New Wizard Modal. 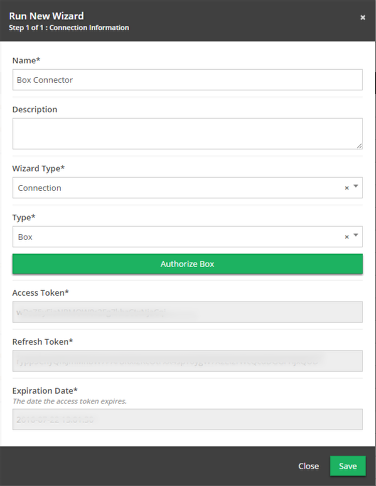 You must click 'Authorize Box' and authenticate to use the Box Connection. 2. 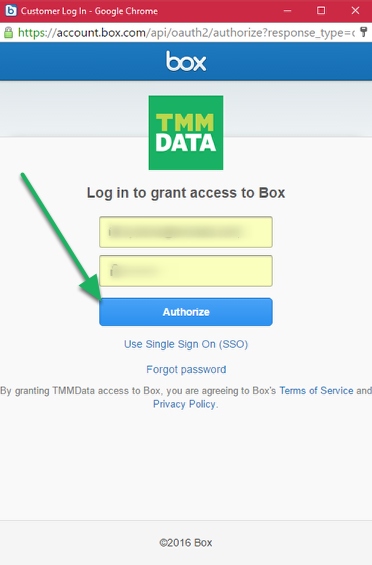 Enter your credentials and click 'Authorize'. 3. 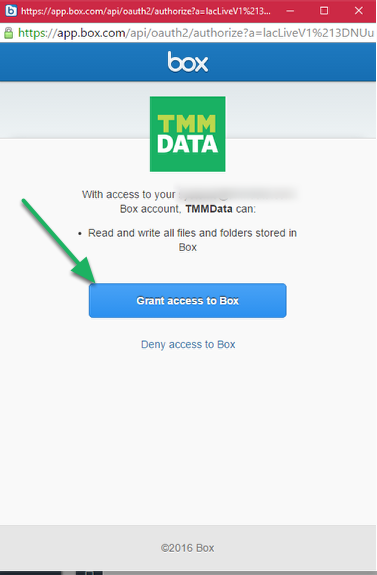 Click 'Grant access to Box'. 4. 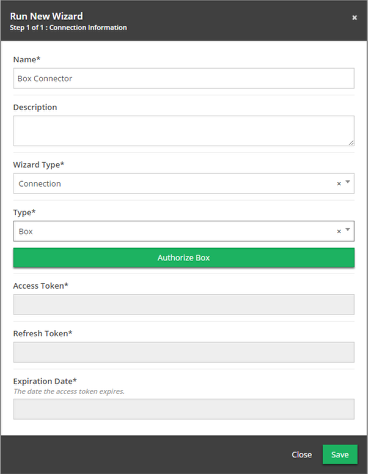 Information will be automatically inserted into the 'Connection Information' modal. When finished, click 'Save' to create the connection. Prev: Custom Field Types now use Business Rule style triggers. Next: Button added to Email Export to add user's email address.